A biannual dental exam is an essential part of maintaining good dental health. What many people do not realize is that this exam can offer a peek into the state of their overall health as well. Your mouth is a surprisingly accurate reflection of your body’s health, and our dentist may be able to offer you valuable clues into potential problems that you may need to discuss with your doctor. According to a study recently presented at the American Heart Association, those who visit their dentists regularly are 24 percent less likely to experience a heart attack and 13 percent less likely to suffer from a stroke. 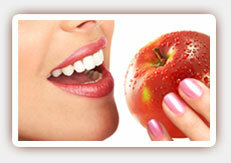 The link between cardiovascular disease and oral health has been fairly well established through numerous studies. Gum disease, which often starts with bleeding or gum irritation, is caused by oral bacteria. Once these bacteria enter the bloodstream through inflamed or bleeding gums, they can travel through your body and contribute or exacerbate plaque formation. Poor dental health is also associated with diabetes. Type 1 and Type 2 diabetics are both at an increased risk of gum disease thanks to their slower healing time and circulatory problems. Gum disease may also increase your risk of developing Type 2 diabetes. If you have diabetes, keeping your teeth clean and visiting our dentist regularly can help you keep your whole body healthier. Other problems have also been linked with gum disease and poor oral health, including osteoporosis, Alzheimer’s, dementia, pregnancy complications, eating disorders and gastroesophageal reflux. Contact our West Hollywood dentist today to learn more or to schedule your next appointment.